Prospective students looking to find out more about what university has to offer them will have the chance to do so at an ‘experience day’ next week. Wrexham Glyndŵr University will host the event at its Plas Coch campus on Friday 8th June. The experience day offers the chance for prospective students of all ages to get a taste of what it’s like to study at the university, to meet staff and current students – and find out more about the course they intend to follow. Throughout the day a wide range of events will take place, including a sustainable egg drop challenge – where you use sustainable materials to protect an egg dropped from a great height. You can take part in a drone challenge, where you’ll get to fly a drone after hearing more about the science behind the technology; or a cyber challenge – where you can put your skills to the test and find out more about cybersecurity. Fans of Forensic Science can join in with an Alice in Wonderland murder mystery, analysing evidence to solve a crime; creatives can participate in a specially-designed social media workshop designed to get the best out of their online presence; and the chance to see engineering in action with a miniature jet engine. There is also a chance to hear from experts in a criminology taster session which looks at crime and how to prevent it – or a chance to find out where a career in youth and community work can take you. 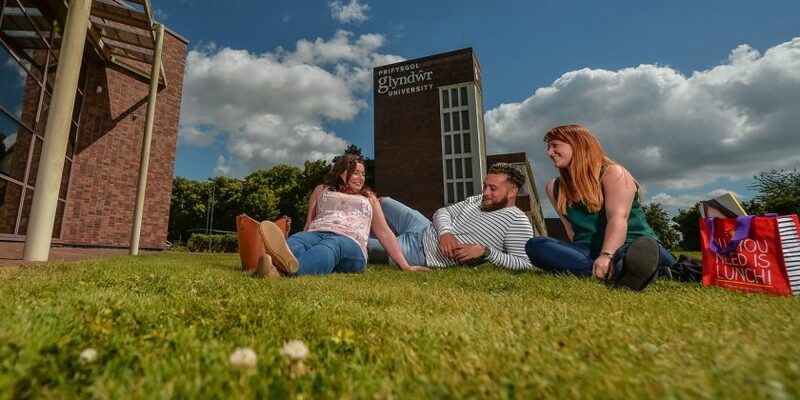 Andy Cairns, Glyndŵr’s events, experience and CRM officer said: “Whatever you are thinking about doing at university, there is something to interest you. “Our experience days not only offer you fun activities to take part in – but also the chance to talk to our academics and get their expert opinions, our students to hear more about campus life – and our support staff, who can give you advice on finances, learning support and much more. Scheduled activities are taking place throughout the day. To see the full programme, book your place or find out more visit the Wrexham Glyndŵr University website.